superdumb supervillain: Disney on Ice! Offer #1: Get 4 tickets for just $44 by entering the code "MOM" at select ticketing channels*. Offer good on all performances, minimum purchase of 4 tickets required; additional tickets above 4 can be purchased at $11 each. Offer not valid on Gold Circle Seating, Front Row and VIP seating or combinable with other offers. Other restrictions may apply. Offer #2: A select amount of Front Row and VIP seats have been reserved for you to buy before they go on sale to the public - just enter the code "MOM" when purchasing those seats. 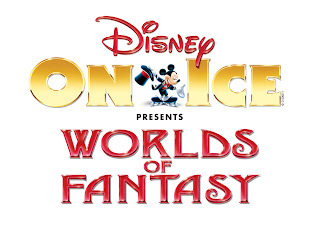 To learn more about Disney On Ice shows touring the country this year, visit http://disney.go.com/disneyonice/ and visit Ticketmaster to use the 4 tickets for $44 code: MOM. *Please note that these offers are also valid for Ringling Bros and Barnum & Bailey® shows in select cities - visit www.ringling.com to find a show near you. I actually went to this show in January with my niece and two sisters in law and it was well done. And I'm not a Disney/ice skating fan. I agree with Kathleen. What the heck happened? All of a sudden after her birthday, she grew up. Just like that.